This weeks top pick has to be Frank Millers Xerxes Fall Of House Of Darius #1 of 5. Personally I didn’t think we would see Miller return to comics to fully writer or draw again but here he is doing both. He did wonders for Batman but most of his creator owned books never got past the first issue or volume. His 300 series inspired an amazing movie franchise and this could bring it back to make it a trilogy. 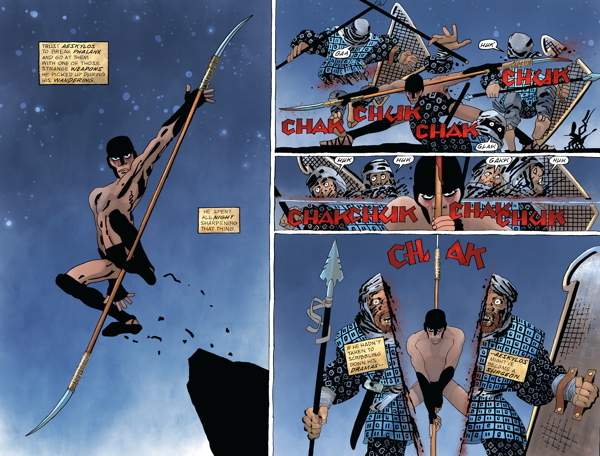 Frank Miller returns to the world of 300 with this sprawling historical epic! Persian King Xerxes sets out to conquer the world to avenge his father Darius’s defeat and create an empire, unlike anything the world has ever seen . . . Until the hardy Greeks produce a god king of their own, Alexander the Great. * Colored by Alex Sinclair, the colorist for Miller’s Dark Knight Master Race, third installment of his Dark Knight Returns master trilogy.